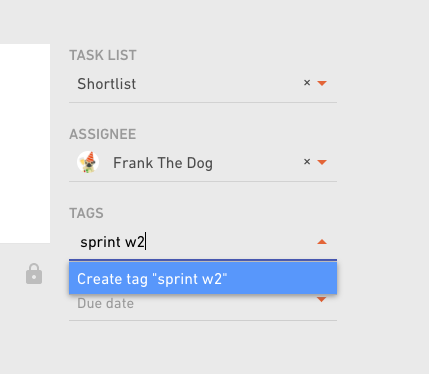 Creating a task includes adding a task name, responsible person, due date and tags. You can also attach files, mention colleagues and more. 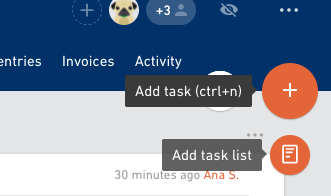 Add a new task by clicking on the big + button. Put down a title for your task and add some text that describes what needs to be done in the task. This will also be the first comment on your task. You have a few basic text formatting tools at your disposal (bold, italic, code, list, numbered list). If you need to attach some files in the task use Insert attachment button. Select and upload files in a dialog window or just simply drag'n'drop files into the text input section. Use @ button to mention someone (just like on Facebook). That person will be notified that there's something in the task that requires their attention. NOTE: the person you want to mention needs to be a project member. 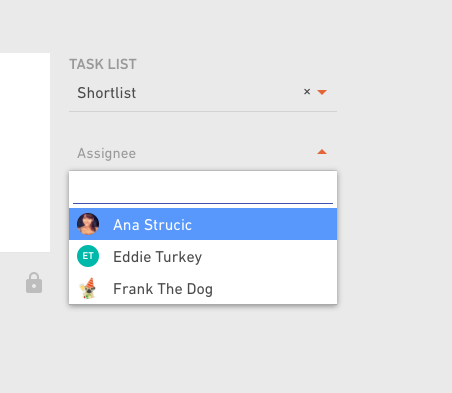 Now that you have a title and a description select a task list for your task. 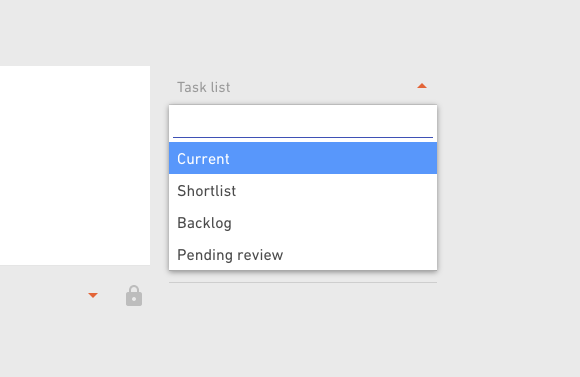 You can select a task list from the dropdown menu, or if you don't have it yet, just start typing the name of the task list you want to create and hit the Create task list option. 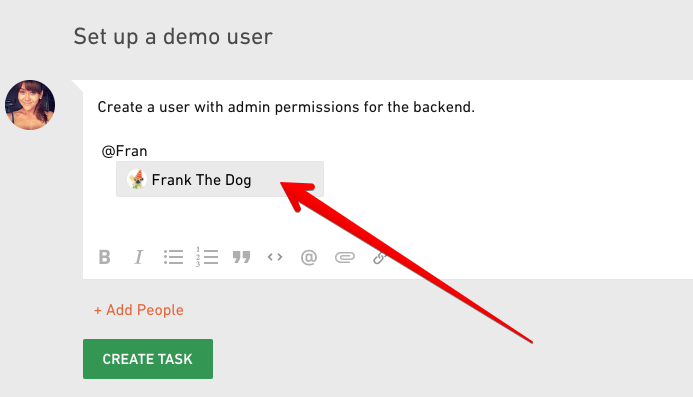 You can Assign a task to someone on the project. Use drop down menu and start typing the name of the person you want to make in charge. Like with mentions, the person needs to be a project member. It could be useful to add some tags to your task. You could put down something like "design" for all tasks that are design related, or "sprint w2" for tasks that were planned for week 2. Tags come very handy when you want to set up your custom filters. If you're on a tight schedule, set a due date by which you need this task to be done. The person who's assigned to this task will get a notification 24 hours in advance of the due date, and it will also show up in their "My overdue tasks" filter section. Besides mentions and assignees, you can add subscribers to the task. If you want certain people on the project to be notified when something happens in the task - like someone adds a new comment or changes the assignee - add them using a button Add people below the task description. Like with mentions and assignees, the person needs to be a project member. Don't forget to hit the Create task button when you're all done filling out the form. Create a private task in your project that is visible only to you and people you add to a task. Look for the lock icon in the task details. If it looks like in the picture above, that means the task is not private and everyone on the project can see it. But, if you click the lock you'll enable private mode and the task will change its background color. This means this task is private and only people you add as subscribers will be able to see it. The rest of the project members won't see this task until you assign the task to someone or add them as subscribers.